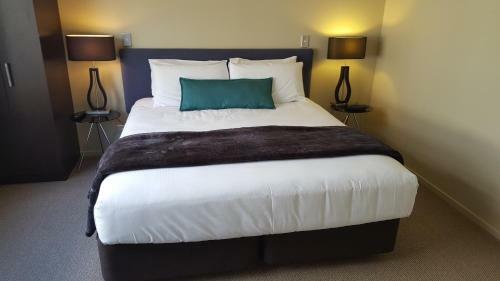 Just 3 minutes' drive from Taupo city, the award-winning Falls Chateau is set atop a south-facing hill, near Huka Falls and overlooking the town and lake with scenic views. Hilton Lake Taupo includes free pool and gym access and features views over Lake Taupo and is just minutes away from the town centre. 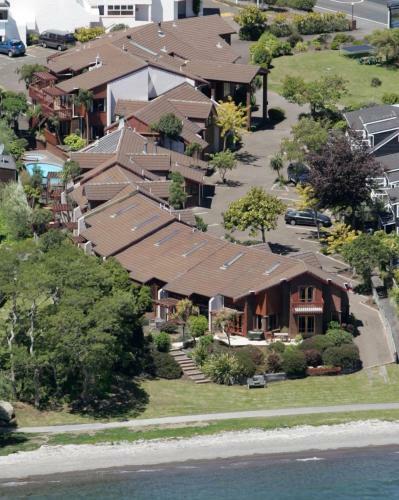 It is a 15-minute drive from Taupo Airport. 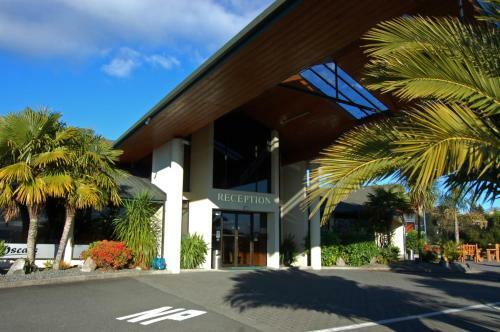 Comfort Inn Cascades is located on the edge of Lake Taupo and has a heated outdoor pool, a terrace and spa facilities. Free Wi-Fi and cable TV are included. Comfort Inn features a garden with barbecue facilities. Lakeland Resort is situated on the beautiful shores of Lake Taupo. Set on 2.8 acres of landscaped grounds, this resort boasts a tennis court, an on-site restaurant, 2 private indoor spa pools, and a seasonal outdoor swimming pool. 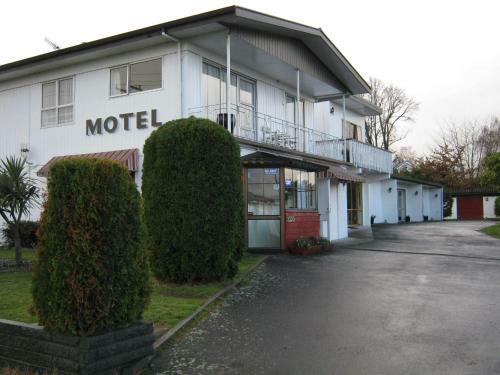 The Reef Resort Motel offers self-contained accommodation on the edge of the Lake Taupo. 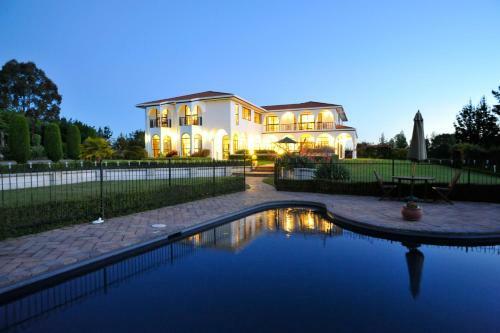 The property features an outdoor heated freshwater pool and a thermal pool with a hot tub. 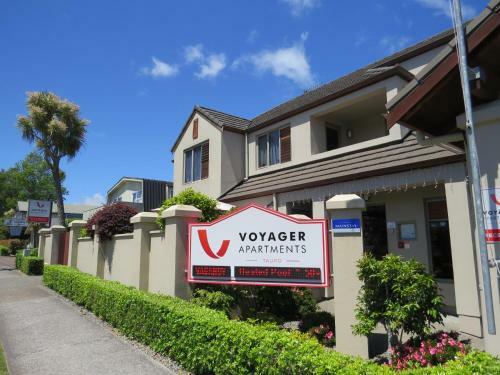 Voyager Apartments Taupo is located 50 metres from a safe swimming beach and it is a 10-minute stroll along the lakefront to Taupo town centre. Guests enjoy free Wi-Fi, a heated outdoor swimming pool and a hot tub. 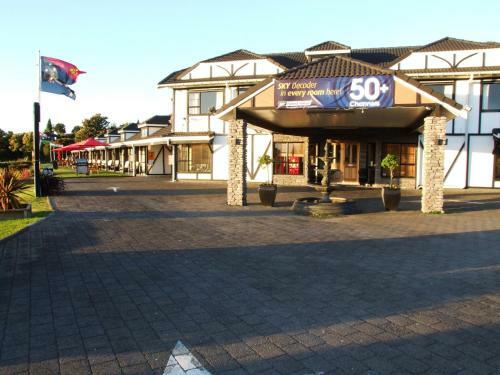 Suncourt Hotel & Conference Centre offers spectacular views of Lake Taupo and the volcanoes of Tongariro National Park. All air-conditioned rooms include free WiFi, free on-site parking and satellite TV. 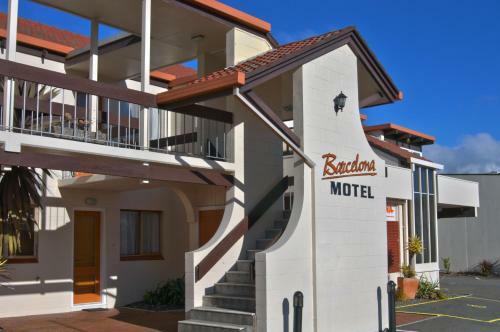 Bella Vista Motel Taupo offers comfortable and modern accommodation just 800 metres from the shores of Lake Taupo. All rooms have en suite bathrooms, free Wi-Fi access and cable TV. Pets are allowed at the property. Offering panoramic views of Lake Taupo, the luxurious self catering apartments at Baycrest Lodge feature free Wi-Fi and satellite TV. The shores of Lake Taupo are only 100 meters away. Featuring 2 GB of free WiFi per day and free secure parking, Asure Chelmswood Motel Taupo offers 36 modern studios and apartments set on spacious grounds overlooking beautiful Lake Taupo. All guests enjoy a year-round heated outdoor pool. 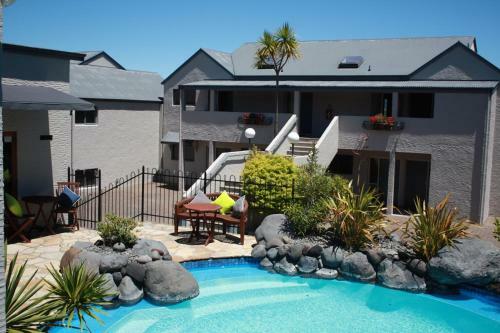 Lake Taupo Motor Inn offers free Wi-Fi, a heated outdoor swimming pool and 2 outdoor hot tubs. 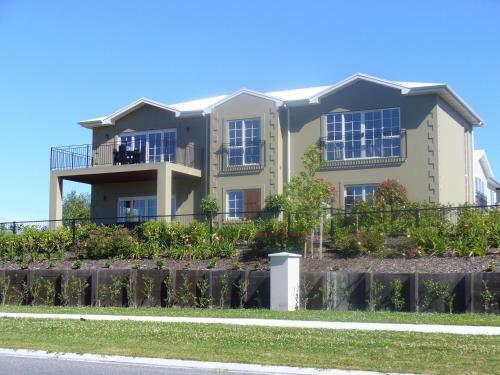 It is located less than 5 minutes’ drive from Taupo’s town centre. All accommodation at Lake Taupo Motor Inn has air conditioning. Offering free Wi-Fi and free parking, Cottage Mews features direct access to Two Mile Bay Beach. All rooms offer a refrigerator, microwave and a TV with satellite channels. 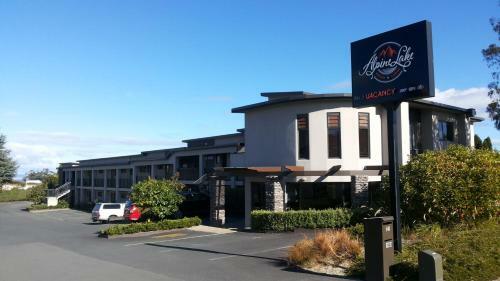 Just 5 minutes’ walk from Lake Taupo, Adelphi Motel offers self-contained accommodation with satellite TV. It features free WiFi and free on-site parking. Sails Motor Lodge offers self-contained accommodation directly opposite Lake Taupo. Most rooms offer lake and mountain views. Free WiFi and free car parking are included. Just 7 minutes’ walk from Lake Taupo, Silver Fern Lodge features a barbecue area and a sunny terrace with lake views. The guest lounge features a 43-inch LCD TV, a fireplace and a billiards table. Barcelona Motel is housed in a Mediterranean-style complex and features a private courtyard. 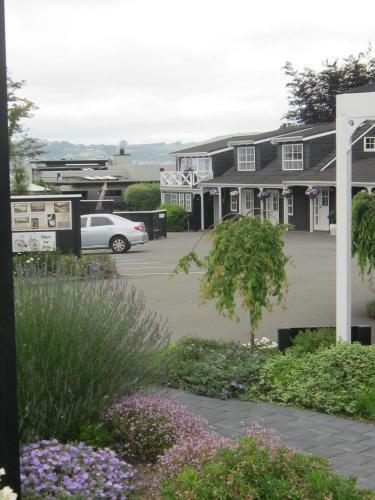 A 5-minute walk from Taupo’s town centre, it offers free parking on site and free Wi-Fi access. Oreti Village Resort offers stylish apartments with private balcony, full kitchen and laundry, and views of Lake Taupo and the surrounding mountains. The restaurant features timber floors and open fireplaces. 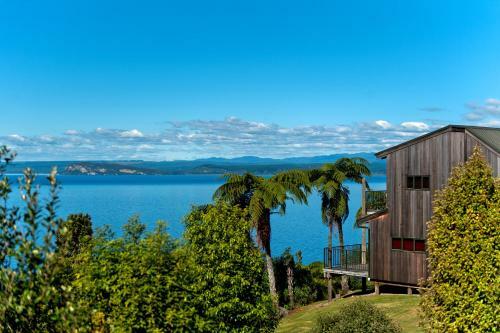 Featuring views of Lake Taupo and the surrounding mountains, the Mediterranean-style Pillars Retreat is set on 3 acres of parkland grounds with large trees and lawn areas. Just 150 metres from Lake Taupo, Courtney Motel features a heated swimming pool, barbecue area with outdoor seating. Free WiFi and satellite TV are standard in all rooms. Free parking is available on site.